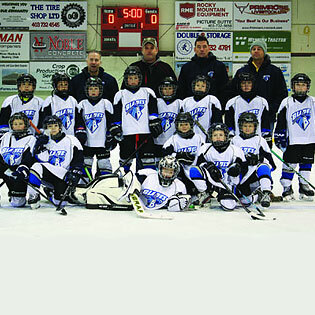 If you love leisure winter activities, then check out the Raymond Ice Arena. 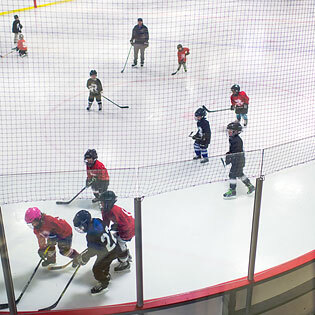 Programs at the arena include: 3on3 Youth Hockey (formerly pond hockey), public skating, parent & tot skating, and birthday party rentals. Early Bird: Open ice time for all ages for public skating and/or shinny hockey. Sticks are allowed. Parent N' Tot: Open ice time for Parents and/or Guardians with young children. Strollers are allowed on the ice as long as the wheels are clean. Skate training equipment is allowed. No sticks allowed. Pickup Hockey: Open ice time for all ages for shinny hockey. Hockey Helmets mandatory. Sticks are allowed. All Public Ice Times are free!